Eating fresh cherries daily carries many health benefits because of their levels of antioxidants, vitamins and minerals. 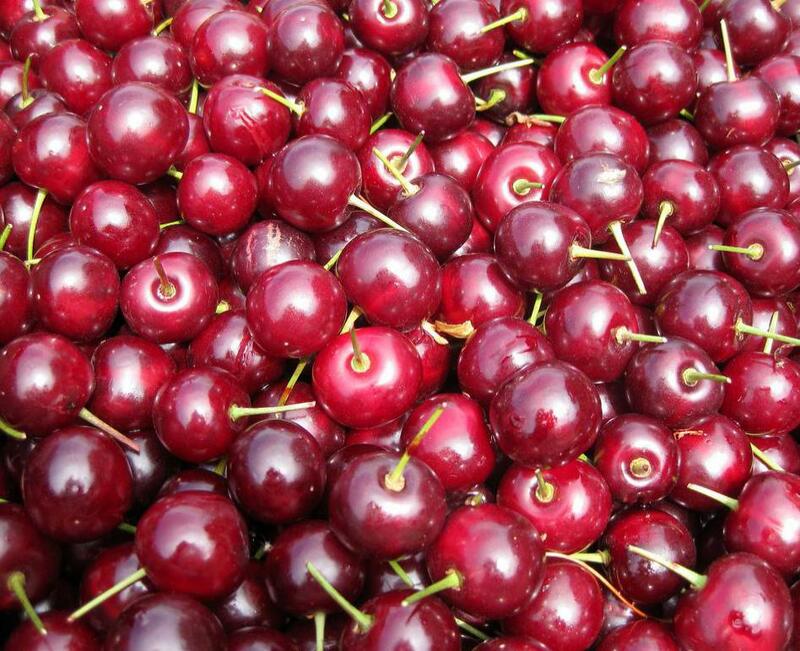 The juice of cherries contains flavonoids like quercetin, which may help relieve the inflammation of arthritis. Cherry juice can be as effective as some pain medications when it comes to arthritis. Adults who consume cherry juice for arthritis should consume one cup daily. The antioxidants in cherry juice may offer long-term relief from stiffness and swelling. 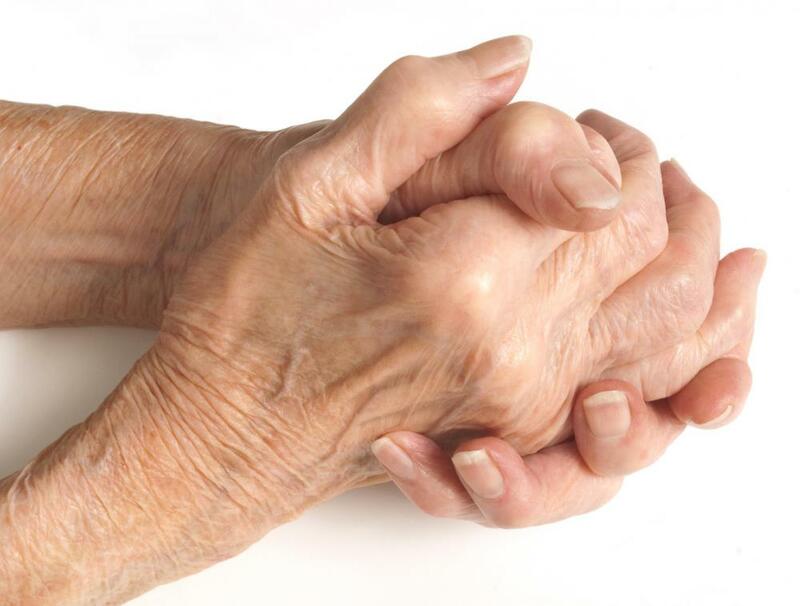 Arthritis sufferers can experience moderate to severe joint pain, stiffness and swelling. Drinking cherry juice for arthritis pain provides flavonoids that can help to decrease joint inflammation that causes the stiffness and pain common to arthritis. Cherry juice also has additional benefits in the form of antioxidants that can help the body repair damaged joints. Traditional medical treatments for arthritis include a variety of over-the-counter and prescription pain relievers. These options may provide temporary relief, while alternatives such as cherry juice for arthritis pain show promise for long-term relief. Cherry juice and cherries might be as effective as pain medications and rubs, without the potential side effects associated with daily use of these products. One reason for this is that cherry juice is an important source of antioxidants. Increased antioxidant intake helps the body prevent or repair joint and tissue damage. The main antioxidant available in cherry juice is glutathione, and people who have osteoarthritis often have lower-than-normal levels of this antioxidant in their bodies. Like other dark berries, cherries contain flavonoids. Quercetin is the flavonoid in cherry juice that may be beneficial for people who have arthritis pain. Scientific research has shown that quercetin has anti-inflammatory properties and is an antihistamine. When one drinks cherry juice for arthritis, the quercetin decreases joint inflammation throughout the body and reduces the swelling that inflammation causes. This commonly helps to decrease the intensity of arthritis pain. Once one has continued success with arthritis pain relief, one is more likely to engage in extended range-of-motion activities, which can help to relieve stiffness. Clinical research on gouty arthritis has shown that a high level of uric acid in the body is a common feature of the condition. The crystallization of uric acid in the joints makes this type of arthritis extremely uncomfortable and difficult to manage. 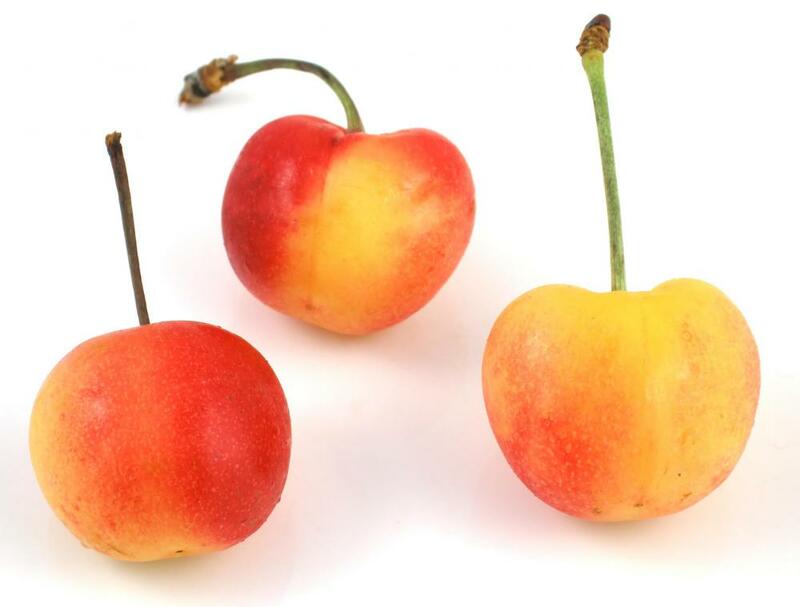 For people with arthritis pain caused by gouty arthritis, drinking cherry juice can reduce uric acid levels naturally. 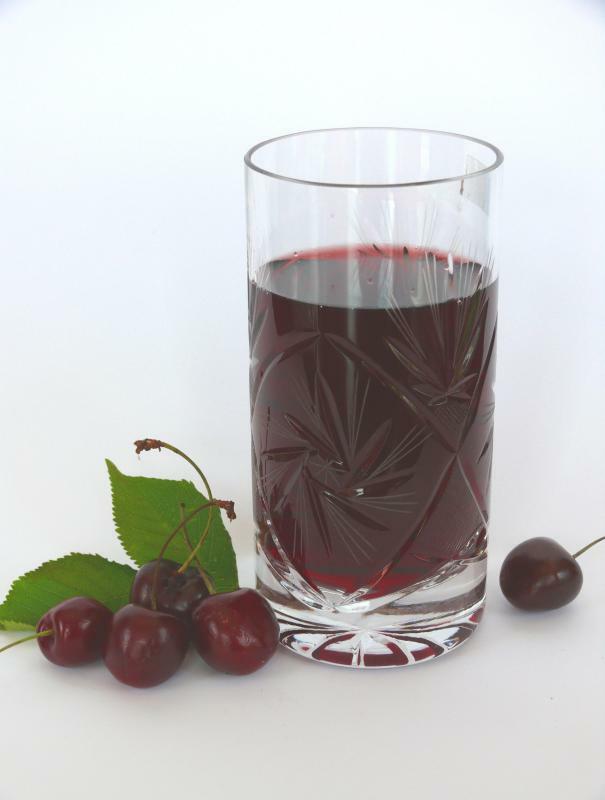 Adults who choose to drink cherry juice for arthritis should consume 1 cup (237 milliliters) daily. Commercially prepared cherry juice might contain other juices that dilute the benefit of cherry juice, so trying to locate suppliers that provide pure cherry juice concentrate or pure bottled juice is recommended. One also can juice cherries when they are in season or freeze them for future use after removing the pits. Self-diagnosis and treatment of any illness, including arthritis, has potential risks. One should talk to a healthcare professional about traditional and alternative treatments for arthritis pain. A physician who understands complementary and alternative medicine can be an important resource and ally when one uses natural treatments. What Are the Different Types of Herbs for Gout? How Effective is Cherry Juice for Gout? What are the Medical Uses of Tart Cherry? 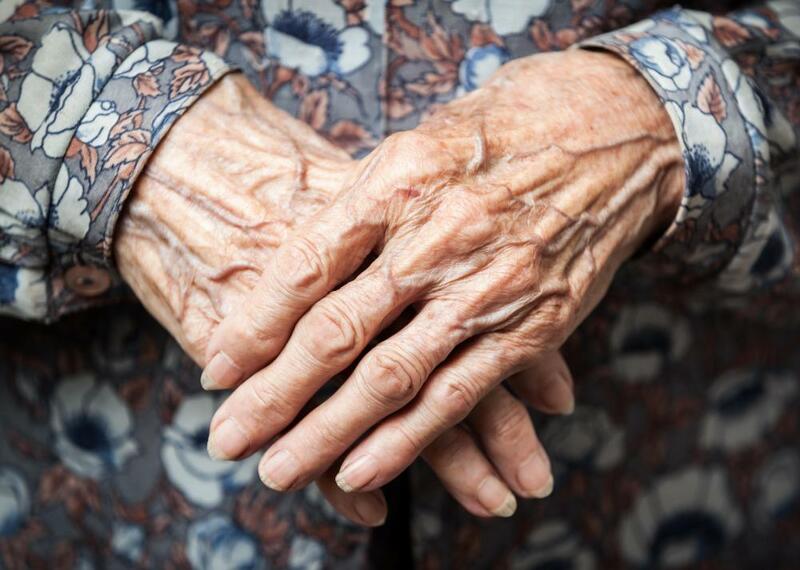 What is the Best Arthritis Pain Relief? I'd heard that cherry juice and cherries are very beneficial for people suffering from gout, so I guess it follows that it's good for arthritis, too. Like drinking cranberry juice to help prevent urinary tract infections, this is one of those remedies that certainly will not harm a person, and may provide relief, which is a good thing.